Our Nursery is located on the upper floor, across from the elevator. Additionally, a nursing mothers room is located in the nursery area. age-appropriate environment for elementary age students. The Biblically centered teaching helps kids discover Bible truths in both large and small group settings. Teaching and worship is designed to encourage kids to make wise choices and to learn spiritually healthy ways to trust God no matter what. Elementary age students meet together for a Kids Church Service that includes worship, large teaching and small groups. For our 9:20am service the kids meet together for life groups, in individual classrooms. The classrooms are broken down by 1-2nd, 3-4th, and 5th grade. Starting in September 18th, our Midweek Kids: Royal Rangers and Girls Ministries will be happening from 7:00-8:30pm. Kids will gather together to learn more about God through a creative and engaging discipleship program. Biblical truths are taught through creative lessons, crafts, games and by working on badges and achievement awards. The cost to participate is $40.00. REGISTRATION IS REQUIRED BEFORE ARRIVAL. Want to make an impact? Do you have a heart to impact kids for Jesus? Get involved in making a difference in kids' lives today. 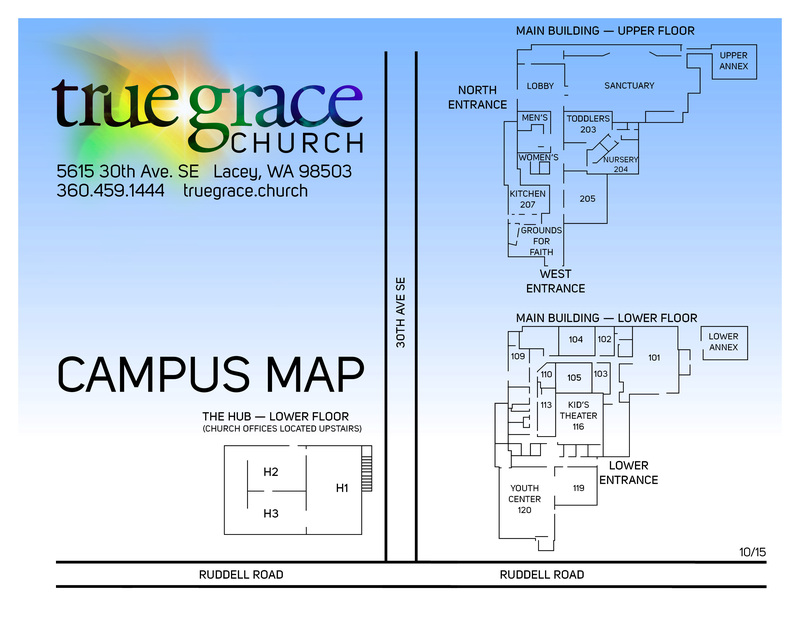 We look forward to helping you find your place at True Grace Kids.